A US judge on Thursday sentenced a Russian citizen to 46 months in prison for his role in a global computer fraud that took in millions, the Justice Department announced. Following his 2016 extradition from Finland, Maxim Senakh, 41, pleaded guilty in March in a federal court in Minneapolis to wire and computer fraud. He will be deported on his release from prison, the department said. Prosecutors said Senakh used malicious computer code dubbed "Ebury" to infect thousands of computers around the world to harvest user names and passwords. The conspirators then used the log-in credentials to redirect internet traffic for click-fraud and email spam. 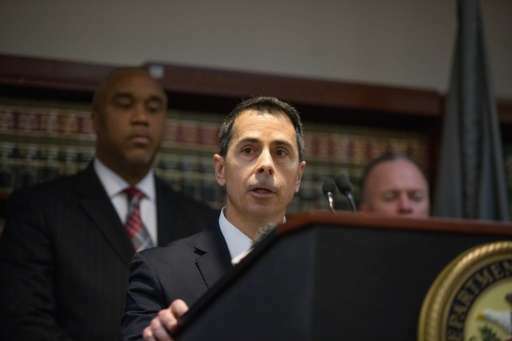 Kenneth Blanco, acting chief of the Justice Department's criminal division, said the case showed the US could pursue cybercriminals operating in other countries. "We have the ability and the determination to identify them, find them and bring them to justice," Blanco said in a statement. Senakh was extradited from Finland in January of last year despite strong objections from Moscow. Finland shares an 830-mile (1,340-kilometer) border with Russia and Helsinki has worked to main stable relations with its larger neighbor since the end of World War II.